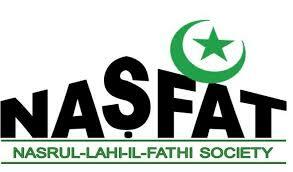 Nasrullahi-Il-Faith Society (NASFAT), an Islamic NGO, has called on all Nigerians to declare war against perpetrators of violence against children in the society. The President of the faith-based organisation.Alhaji Kamil Bolarinwa, made the call on Thursday at a news conference as part of a week-long campaign to end violence against children in Calabar. Bolarinwa said Nigerians should not only speak out against child violence but also ensure that perpetrators were adequately punished. The president of NASFAT, who was represented by the Vice President 1 of NASFAT,Alhaji Suleiman Fagbemi, said violence should never be visited on any citizen, child, adult, woman or man” in the country. According to him, the conference is initiated to enlighten the public that, despite recent success in reducing child violence, a lot of cases of violence against children still exist in the society. “What this signifies is that, a lot of these abuses are under reported, concealed ignorantly or criminally. “It also suggests that there are no strong legislations against the apprehended violators of the hapless children. “NASFAT’s role as a partner in this crusade is to collaborate with other religious bodies, individuals and stakeholders to substantially wipe this menace out of our society,” he said. He urged parents to monitor their children as Nigerians approach the general elections, for the children not be lured into thuggery by politicians. Earlier, the Coordinator of ”Ending Violence Against Children” Programme in Cross River, Alhaji Abdulateef Abdusalam, said violence against children was assuming a dangerous dimension. Abdusalam urged Nigerians, especially parents, to guard against any form of violence against children or relatives living with them. “This job is a duty for all Muslims because it is now clear that this violence happens everywhere, even in mosques. Similarly, the Chief Imam of Ahmadiyya Mosque, Alhaji Kabeer Olowolayemo, noted that the task of educating children was a civic responsibility that should start from every home. “We all see what is happening in Yemen and Syria today, it is because it was not curtailed when it started. “I call on everyone, both private and government, to ensure that we take this fight to the grassroots. “We must make sure that our children are protected because they are the leaders of tomorrow and if they are not protected, our future is endangered,” he said. The News Agency of Nigeria (NAN) reports that the “End Violence Against Children’’ Campaign in Cross River was sponsored by the United Nations International Children Emergency Fund (UNICEF) and USAID.